The Best Reggae Blogs from thousands of Reggae blogs on the web using search and social metrics. Subscribe to these websites because they are actively working to educate, inspire, and empower their readers with frequent updates and high-quality information. 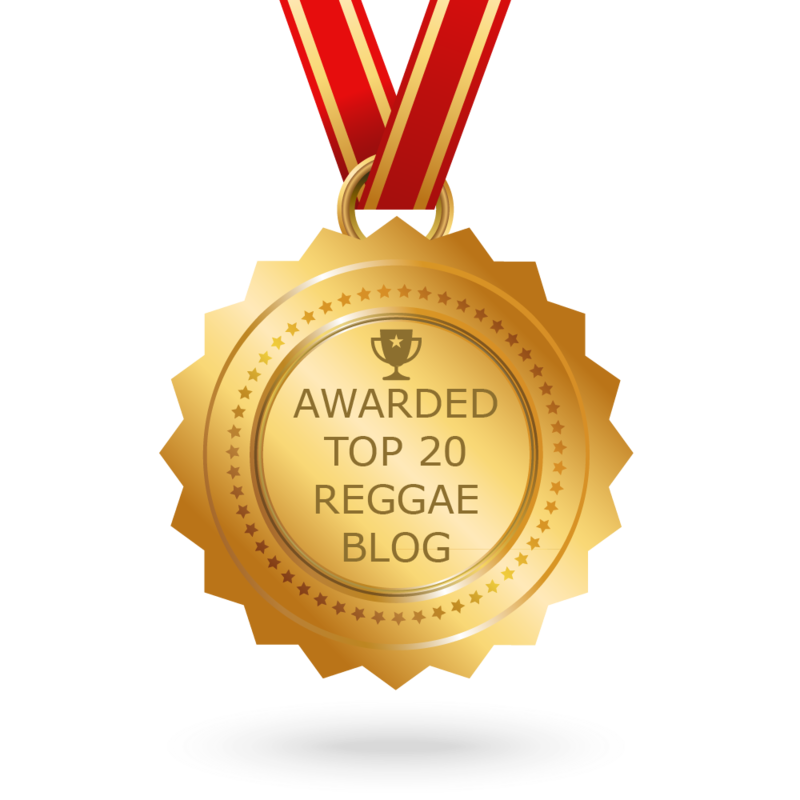 CONGRATULATIONS to every blogger that has made this Top Reggae Blogs list! This is the most comprehensive list of best Reggae blogs on the internet and I’m honoured to have you as part of this! I personally give you a high-five and want to thank you for your contribution to this world. Reggae newsletter is a comprehensive summary of the day's most important blog posts and news articles from the best Reggae websites on the web, and delivered to your email inbox each morning. To subscribe, simply provide us with your email address. The Netherlands About Blog World A Reggae is your daily Reggae Magazine from the web, brought to you by World A Reggae Entertainment. Offering you the latest in Reggae with the aim to unify people through Reggae Music. Facebook fans 396,939. Twitter followers 29,445. About Blog The people's source for reggae rock news, reviews, and videos. Facebook fans 5,023. Twitter followers 1,469. Jamaica About Blog Yard Hype is a Reggae/Dancehall music, all round Jamaican/Caribbean entertainment website looking to bring good quality content to our visitors from both yard and abroad. Facebook fans 134,208. Twitter followers 35,859. The Netherlands About Blog Reggae Vibes is one of the most trusted and respected online reggae & dancehall magazines. We focus on reggae & dancehall reviews, interviews, reports and news. Every week we present the lastest Jamaican charts. Facebook fans 2,373. Twitter followers 1,791. About Blog Reggae-Unite Blog is a French media based in Le Havre on which we discover the news of Reggae-Conscient and artists whose blog feels ideologically close. About Blog All that you have always wanted to know about the reggae never have dare to ask it! everythings you always wanted to know about reggae go were afraid to ask. Facebook fans 2,873. Twitter followers n/a. About Blog This blog gives you a daily dose of reggae and jamaican music culture. Facebook fans n/a. Twitter followers 107,310. About Blog Urbanislandz.com raises the bar in hip hop/rap and reggae/dancehall entertainment, lifestyle and culture. Our core purpose is to bring the two urban influenced genres to the forefront of the world. Readers of Urban Islandz won't have to look too far for the latest news, reviews and press publication from the biggest names in hip hop, reggae and dancehall. Facebook fans 200,637. Twitter followers 5,323. Cologne About Blog Reggae Steady Ska is a music magazine and community dedicated to the best ska music around the world. Facebook fans 4,656. Twitter followers 4,068. Berlin About Blog Houseofreggae.de is one of the top reggae websites which writes about the reggae, dancehall and jamaican culture. Facebook fans 4,112. Twitter followers 4,645. About Blog Blazin' Reggae Vibes is a mixing bowl of conscious and uplifting vibrations coming through conversation, music, and video via a blog and weekly podcast. San Diego, CA About Blog The global healing launched on November 5, 2014. Scott Brown is proud to share with the world his personal playlist that he developed over the past 15 years to the airwaves with the launch of KREG. Facebook fans 1,474. Twitter followers 17,634. Stockholm, Sweden About Blog Reggaemani is a music blog dedicated to reggae music and culture. It covers almost all aspects of reggae and its many subgenres, including ska, rocksteady, early reggae, roots, dub, dancehall and ragga. Reggaemani aims to broaden musical horizons and cover new and veteran artists and groups from all around the world. Facebook fans 1,364. Twitter followers 2,344. Miami, FL About Blog Reggae Report Archive holds the history of Reggae music from the late 70s to the late 90s, with some news from today & tomorrow's Reggae stars. Facebook fans 11,272. Twitter followers 5,940. Norwich, England About Blog My name is Toby, aka Paper Lion, owner of Reggae Roots Review. RRR is a reggae news, review and blog site with the aim of highlighting the best new releases and reissues from around the world. Facebook fans 540. Twitter followers 1,574. California, USA About Blog Caribbean Dance Radio is a weekly radio show, podcast, and sound system featuring the latest and best in Dancehall and Reggae music. Every week we drop exclusive tunes and riddims, music news, festival info, "Riddim of the Week", guest mixes, and more. Facebook fans 893. Twitter followers 121.